Fiat-Chrysler Boss Sergio Marchionne has given the "strongest clues yet" that the next Jeep Wrangler, due to drop in 2017, will be a significant departure from the body-on-frame beast we know and love in some comments at the Paris Auto Show. Automotive News heard Marchionne talk about building the SUV out of aluminum, moving production from Toledo, Ohio, and repowering it with smaller, turbo engines. 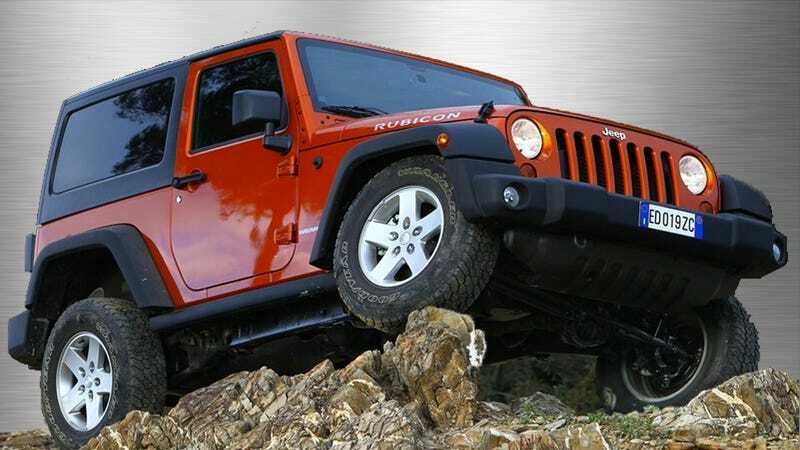 "We firmly believe that we have to downsize the engines that are going into the Wrangler, just in terms of displacements, and then increase the capabilities by putting turbos in and doing other things to that engine. This requires a complete rethink of the architecture." Sounds like none of the vehicle's longstanding construction characteristics are sacred. We all want to know will it still wheel, and while Jeep CEO Mike Manley has acknowledged the fact that Wrangler is basically the backbone of the whole brand's "off-road" attitude, the future seems murky. "One of the things we are debating is whether this thing requires going into a material other than steel. If the solution is aluminum, then I think unfortunately that Toledo is the wrong place, the wrong setup to try and build a Wrangler, because it requires a complete reconfiguring of the assets that would be cost-prohibitive. It would be so outrageously expensive that it would be impossible to try and work out of that facility." "One of the commitments we've made is never to produce a Wrangler outside of Toledo. So whatever Wranglers are going to be made are going to be made there as long as I'm the CEO. They'll not be built anywhere else."